Storm Ali wiped out TV and radio transmissions from Dublin's main transmitter site. Around Wednesday lunchtime, the Irish capital suffered outages on FM and on the digital terrestrial television service Saorview after the storm wreaked havoc across the region and at the transmitter at Three Rock. Engineers were dispatched to the site, which is nearly 450 metres above sea level, and overlooks much of Dublin to restore signals by mid-afternoon. Broadcasters, including Virgin Media's three terrestrial TV channels and various RTÉ stations took to social media to apologise for the loss of services from Three Rock, although many radio listeners were able to retune to alternative frequencies from other transmitters. Satellite and cable viewers were unaffected by the fault. 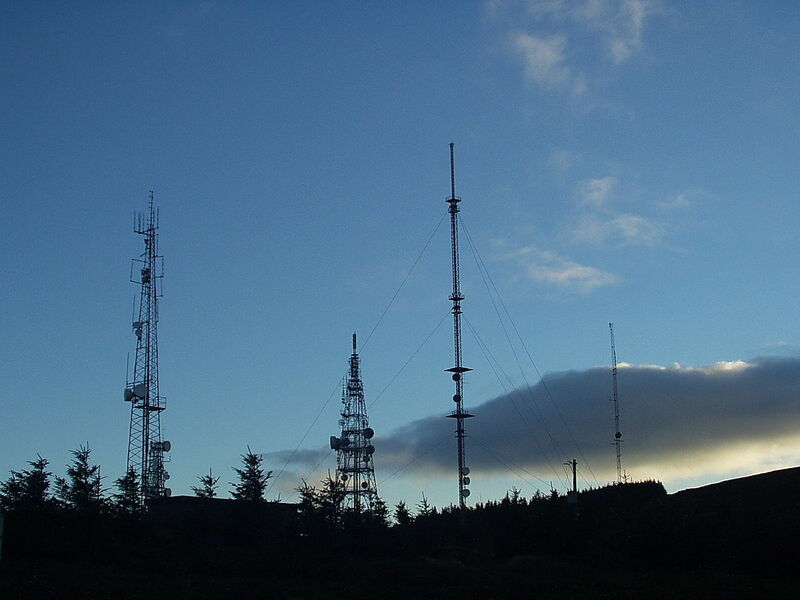 Storm Ali and associated power cuts are understood to affected a number of smaller relay transmitter sites across the UK and Ireland causing a temporary loss of services in some locations. Wind gusts of over 100mph were recorded in some places as a deep area of low pressure moved across the northern half of the British Isles. The BBC has advised that affected viewers in Northern Ireland and Scotland may temporarily receive the wrong regional news service with some relays resorting to satellite back-up. A retune is not required for this fault, as normal service will resume once the usual relay links are restored. At the same time, some Freeview TV relays in Central Scotland moved to new frequencies today, as part of a scheduled frequency clearance programme, taking place in stages across the UK. Affected relays in Scotland include Abington, Cathcart, Deanston, Dollar, Glespin, Haddington, Kirkconnel, Largs, Leadhill, Millport, Tighnabruaich and Tillicoultry. Viewers who have lost services in these areas should retune or contact Freeview if they are unable to restore channels after retuning. Viewers outside of Central Scotland are not affected by this round of frequency changes and should not retune if they have lost channels.